Lot 450. 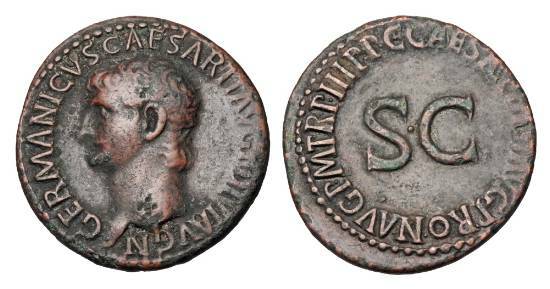 GERMANICUS, brother of Claudius, 50-54 AD. Æ As.